My name is Natalie Rockall and I founded Eleven11 Digital after gaining over 14 years marketing and CRM experience in both small and large organisations such as MORE TH>N Insurance, EDF Energy and The Body Shop. Now I’m a full time freelance email marketing specialist ready to help you and your brand with all things email related. I’m a member of the DMA Email Council, judged the "Best Use of email marketing" category at the 2015 DMA Awards and spoke at the Email Insider Summit Europe 2014. 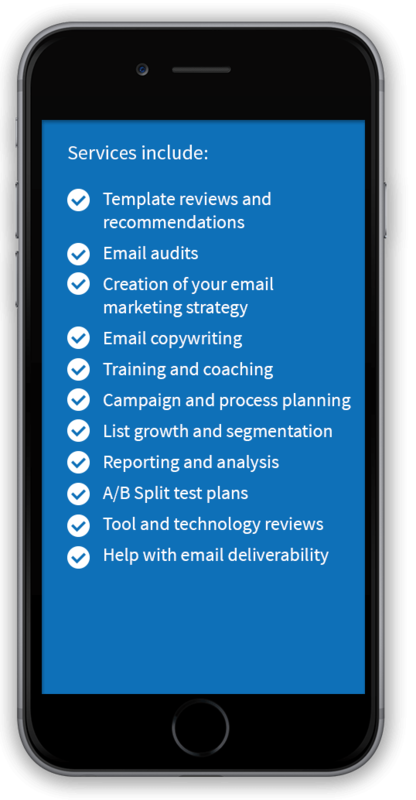 Email Marketing Consultancy: As a freelance email marketing specialist I can help with everything email related from developing your company's email strategy, building an in-house or external team to reviewing and designing best practice email creative. If you don't have the time, skills or inclination to tackle the detail I can help.